Crush peppercorns. Combine crushed peppercorns with cream cheese, milk, lemon juice and garlic powder. Beat with an electric mixer using medium speed until smooth. Makes 10 (2 tablespoon) servings. 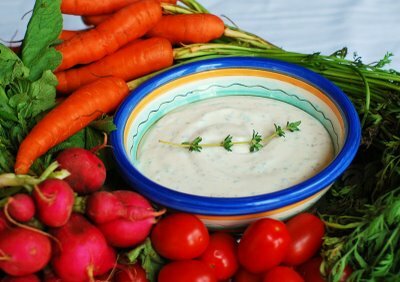 To Serve: Transfer dip to serving bowl and serve with assorted raw vegetable dippers. Per Serving: 53 Calories, 2 g. Fat, 13 mg. Cholesterol and 131 mg. Sodium.